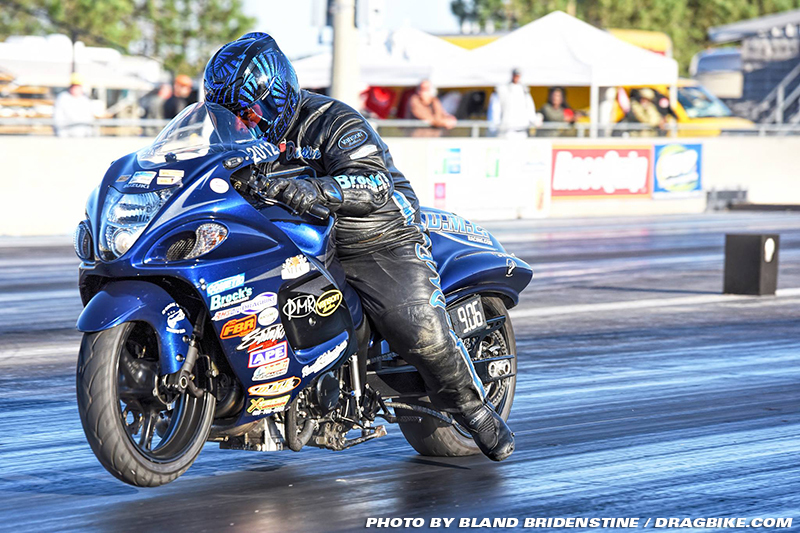 Seven events into the “BAMF Schedule” and your points leader is no surprise, Dustin Lee. The two-time BAMF winner isn’t slowing down yet, despite promises of not chasing a third title throughout the offseason. With sixteen total points and a seven-point lead it’s safe to say he’s once again all in. Hard work during the week and countless test and tune passes have been the ‘not so secret’ to his success and it continues to work well. 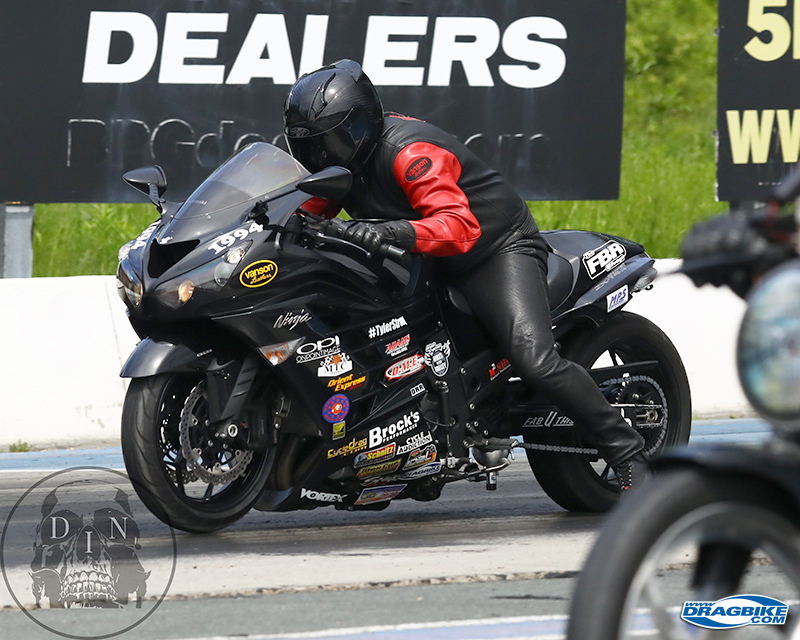 At the IDBL season opener Lee took advantage of the new double-entry rule and wheeled both his machines to a Pro ET final, against himself… Which garnered a whopping 5 BAMF points to add to his total. However, even with the work ethic and on track credentials to go with his point total, the chase to BAMF supremacy is far from over. With 27 events remaining that are eligible for points, the race is just getting started. 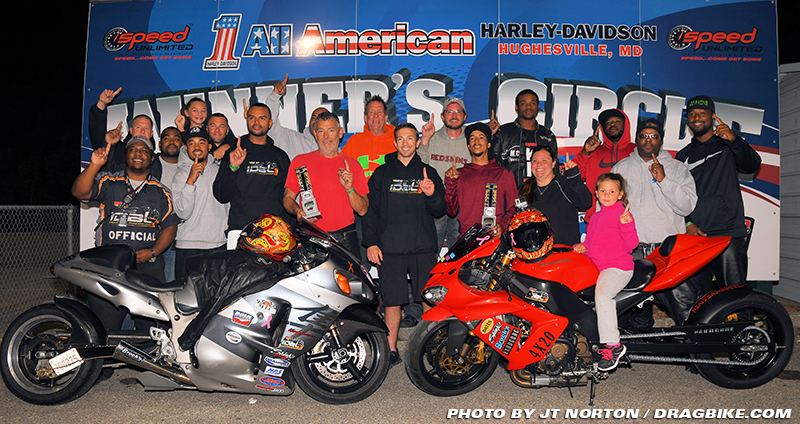 Bikes in the Valley just completed their first event, which was also the first-time BAMF points were awarded in the series. Working on making up ground, Ben Knight didn’t hesitate to travel to Lebanon Valley to try his hand against the tough BIV competitors and by all measures it was a successful weekend. Knight just narrowly missed making it to both ET finals by a scant .002 breakout in the Pro ET semi-finals, but came back around to win Street ET and garner some points. 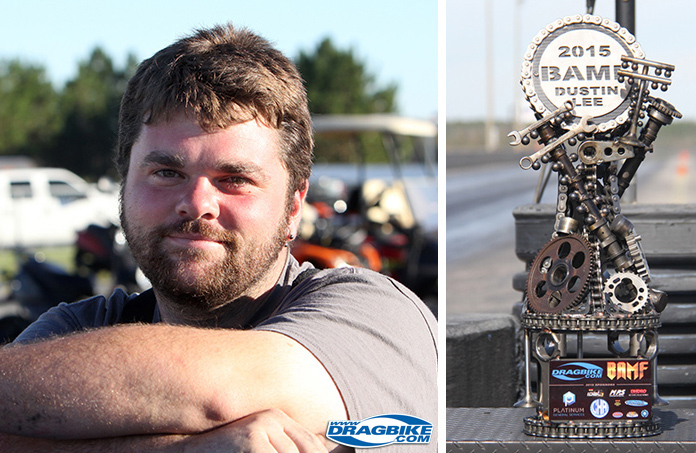 The two-time third place finisher is no stranger to BAMF as he helped create the competition with Brandi Neithamer of Dragbike.com. 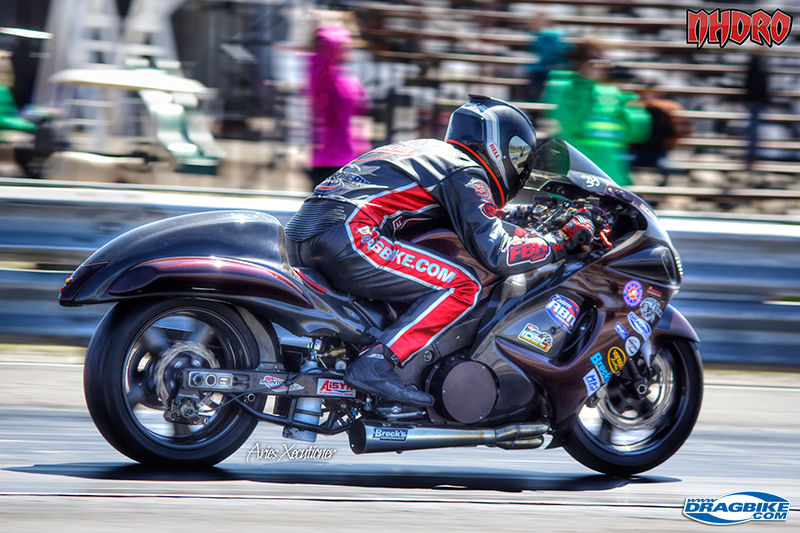 “I still think this is one of the coolest things to occur in sportsman motorcycle drag racing in a long time. It encourages racers to attend more events and travel to different series, to see who really is a badass,” said Knight. 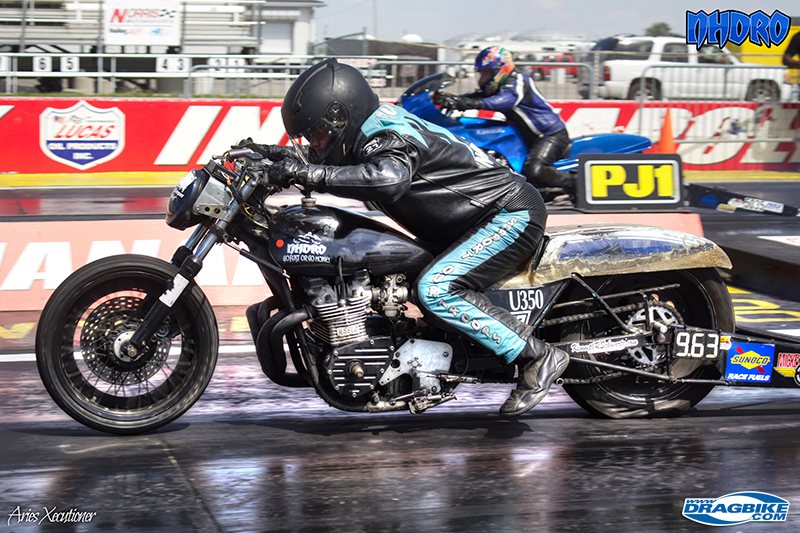 Coming off a remarkable year and second place BAMF finish is veteran bracket racer John “Spooky” Markham, whose 36 points last season would have secured the title in its inaugural year. Also of note is the fact that Markham could amass that point total running one less series then Lee, while still achieving three championships. Although the current point total shows Spooky already ten points behind, he’s far from lost his winning ways. 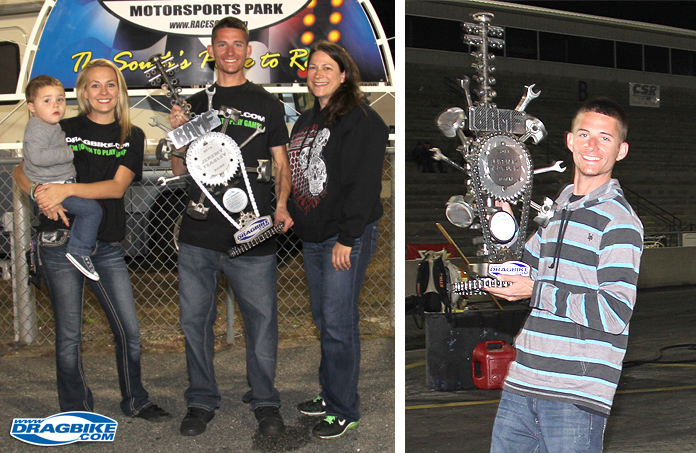 In fact, his son Dalton and himself have won and runner-up in a handful of regional stand-alone events. The big question is whether Markham will be able to attend enough events to combat the top two competitors, because the steely veteran certainly knows how to turn on the win lights. Eric Cooper & Mike Schulz round out the current top five with four points each in just a single series. Lurking in 6th place is the original OG and BAMF winner Jeremy Teasley… And if his 2014 BAMF victory taught us anything, it’s to never count him down and out. Bob Carlson & Donnie Huffman (names you’ve heard associated with the competition numerous times) are off to what some might call a slow start, but they both have the skill set to make a serious challenge for the top spot, especially with so much racing still left to do. 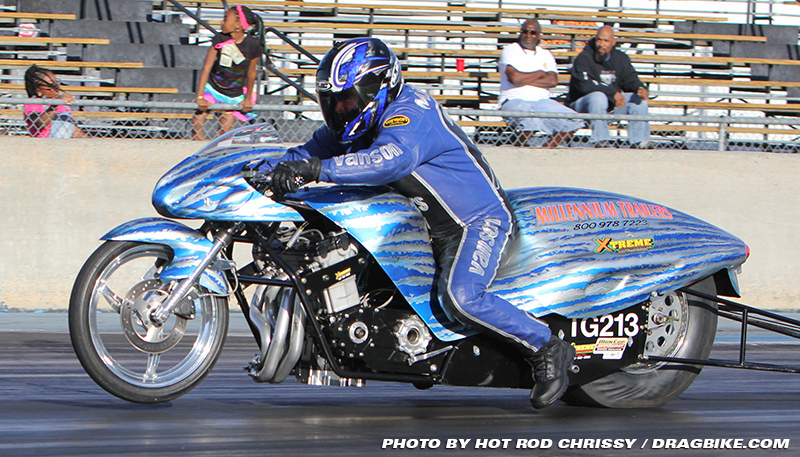 The chase continues this weekend with the Memphis Man Cup race, followed by NHDRO in St. Louis & Bikes in the Valley the following weekend. Good luck to all the racers this season!